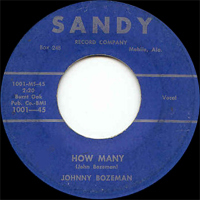 Chanteur Rockabilly US originaire de Mobile (Indiana), Johnny Bozeman a enregistré sur son propre label Sandy Records de Mobile (Alabama). Il est le mari d'Helen Bozeman. 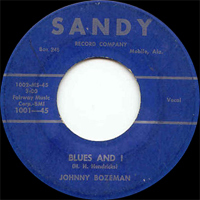 US Rockabilly singer originating in Mobile (Indiana), Johnny Bozeman recorded on his own label Sandy Records of Mobile (Alabama). He is the husband of Helen Bozeman.